Global Property Specialists - Insures your property has the most comprehensive, world-wide reach of any real estate arm in the world! ​The Battista Team and Denver and Beyond Alliance, formed by Carl and Christine Battista, of Keller Williams International is a dynamic alliance of talented real estate professionals with over 100 years of collective expertise. Despite stellar results, the Battista Team is widely known for their extraordinary customer care with a reputation for trusted integrity, negotiation expertise, explosive, unparalleled marketing and an unsurpassed record of selling every listing. It is all about you and your needs. Whether a luxury seller, an athlete or first-time home buyer, their breadth and depth of knowledge provides proven value in every client transaction. They are passionate about providing you with world-class real estate services including residential, luxury, commercial and land. We look forward to continuing to serve you while providing caring and compassionate world-class real estate expertise and services. 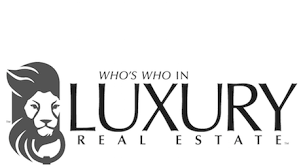 Members of The Institute who hold the CLHMS designation have successfully demonstrated their expertise in the luxury home and estate market by meeting strict performance requirements. By selecting the CLHMS recognized Battista Team you know you’re choosing professionals with a solid track record of helping affluent clients achieve their real estate goals. ​Million Dollar Guild members are specialists who have certified success in the million- dollar and above market. Your exceptional property demands an exceptional professional. As Guild members, the Battista’s have established their expertise and abilities in helping to buy or sell the world’s most exclusive residential homes and estates. By working with The Battista Team of Denver and Beyond, you will gain access to a global network. This level of international visibility can become your best resource for navigating a global market. We have the resources to effectively list your property with several international sources to give your home maximum visibility to prospective international buyers throughout the world. Contact The Battista Team to find out more. PROXIOPRO - A VALUABLE RESOURCE! Translating your listings into 19 different languages.